Is your dog having a hard time getting around high places? Well, pet steps and stairs could actually help. Traditionally, pet stairs have been used to assist older dogs. However, they can be used even for younger pets. This is because the stairs help the canines avoid putting too much strain on their joints when they climb. The risk of arthritis at an older age is significantly reduced as a result. Besides, young puppies have developing bodies. Until their paws and joints are fully grown, they can be vulnerable to injuries all the time, and pet stairs could help reduce this risk. In case you are in the market for new pet steps, or perhaps you want to try them out for the first time, you will have many options to choose from. 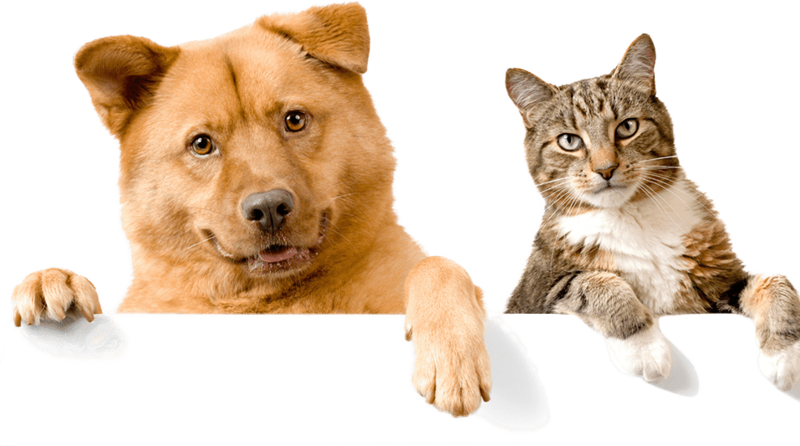 We review some of the popular pet stairs in the market. We will also give you a buying guide on what to look for when shopping for these products. The CertiPUR-US Certified Foam Pet Steps come with a soft and fuzzy surface. They are safe and quite comfortable for both smaller and large pets. In addition to this, the steps are created using CertiPUR-US Certified Foam. The foam has a reputation for being sustainable and 100% natural. They don’t have any toxins that could potentially harm your pet. It also has a soft fabric cover on the top. The fabric covers are available in 12 different colors and patterns. The steps are very stylish and will easily go with the rest of the décor in your home. They also deliver great traction for pets that want to climb. Even pets that have never used stairs before will definitely enjoy this one. The fabric cover can be removed and machine washed too. The CertiPUR-US Certified Foam Pet Steps are quite sturdy. This makes them perfect for dogs of all sizes. Despite the sturdy nature, the steps are soft at the top of the foam. As a result, dogs with weak paws and joints can still use them. We also loved the stylish covers. The fabrics come in 12 different colors and patterns that can easily work with any décor at home. The Pet Gear Easy Step II Pet Stairs is perfect for pet owners who are looking for value at a relatively low price. The product offers wide and deep stair landings which are perfect for smaller breeds like pugs and terriers. Each step on the stairs has outstanding grip too. The dogs can jump and climb without the risk of sliding. In addition to this, every step of the stairs is covered with a removable and machine washable tread. Assembly is easy too for new steps. It takes a few minutes and you won’t need any tools for the job. The steps can also be snapped together and taken apart for easy storage. The Pet Gear Easy Step II Stairs are designed for small dogs. They will also deliver excellent grip. The pets can climb and play around without sliding. The treads on each step add to the stylish nature of this product. They can also be removed and cleaned anytime. This makes the overall maintenance quite easy. As the name suggests, the Pet Loader Light 16" Platform can be perfect for moving pets around. So, if you are having trouble loading your dog into the car, these steps will take away all the hassle. There are different models available. Each has a different number of steps that range between three and five. The product is foldable too for easy storage and transport. It is also average in size. However, it can be used by smaller and bigger pets. Besides, the multiple steps on the loader make it perfect even for the most skittish dogs. It is the perfect way of loading your dog into the car without any risk of injury. Extendable steps and can folded back when the loader is not needed. This makes transport and storage quite easy. The versatility of the Pet Loader Light 16" Platform is definitely something worth noting. You can choose a 3-step, a 4-step, or a 5-step loader depending on the size of your dog. We also liked the fact that it’s a hassle-free product. It’s very easy to use. You just extend the steps, allow the pet to jump into the car, fold it back, and store it for future use. This is the kind of convenience that every pet owner would love! The Arf Pets Wood Dog Stairs is just convenient and stylish. It comes with a rich espresso finish that will accentuate the decor in your living room. The sturdy and strong construction ensures dogs of all sizes can jump and climb anytime. The stairs are also foldable. You can move or put it away in storage conveniently in case you run out of space. The steps will also come with safety side rails which add to the safety of the product. The Arf Pets Wood Dog Stairs don’t need to be assembled either. Just find a nice little corner in the room and place them. The Arf Pets Wood Dog Stairs is probably one of the most stylish products in this list. It’s just easy on the eye. We also loved the sturdy construction. The steps are adjustable and deliver enough flexibility for all types of pets. The Pet Gear Easy Step IV Pet Stairs are luxuriously designed to comfortably allow pets to climb on cars, couches, and beds. The stairs feature deep angled landings on each step that allow small dogs or cats to get their four paws on every step. This makes climbing much easier and safer too. The stairs also have rubber grips on the bottom. The grips are designed to keep stairs glued in one place. No matter how hard the pet jumps or climbs, the stairs will not move. The stairs can easily be assembled in a few minutes without any tools. They also feature a soft cover on each step for extra grip and style. The covers are removable and they can be machine washed for easy maintenance. The stairs are relatively high though and measure 30.5 inches in height. Each step measures about 6 inches. Although they can be perfect for both smaller and big dogs, according to the manufacturer, this pair of stairs can support a maximum weight of 150 pounds. The Pet Gear Easy Step IV Pet Stairs are relatively safer compared to many designs in the market. The deep angled landings on each step allow pets to climb up and down safely. This reduces the risk of injury significantly. We also liked the rubber grips at the bottom of the stairs. The grips hold the steps in place for additional safety. In case you are in the market for something a little classier and more elegant, then the Premier Pet Steps won’t disappoint. The steps are created using wood and carpet accents. They are about 16.5 inches tall and look totally different from some of the popular pet steps in the market at the moment. The wood construction is very sturdy too. The entire stairs can support up to 300 pounds in weight. This is a clear indication of how strong it is. Even people can climb up and down if they want. The Premier Pet Steps are simply a combination of classy design and strength. It’s something you will love to have displayed in your living room too. The stylish nature of the Premier Pet Steps is the biggest appeal. The wooden design is finished with a unique stain and carpeting for a stunning look. Strength and durability are also quite good. There aren’t many steps in the market that can support 300 pounds in weight. This is a huge plus for people with big dogs. The great thing is that the Premier Pet Steps can also be used by smaller pets including cats. These simple stairs are easily portable and can be used to help dogs into beds and other high places. The stairs are available in six fun and exciting colors that are embellished with additional patterns. This allows them to go well with the furnishing in any home. The stairs offer a cushioned surface too that takes the weight off the pet’s feet as it lands. This leads to extra safety. These cushioned covers can be removed and washed too. The Majestic Pet Portable Pet Stairs are made in the US from upholstery grade fabrics. As long as they are properly maintained, they can last for a very long time. Easily portable and versatile. Can be used in beds, cars, and couches. The Majestic Pet Portable Pet Stairs are nice looking. The wide variety of colors and patterns ensures they are able to rhyme with furnishing in your living room. Safety too is quite good. The cushioned steps ensure the landing for pets is as easy as possible. In case you are looking for a good pair of stairs for puppies, small dogs, or cats, we would highly recommend this one. Give your pet an easy way up to anything with this simple and high-quality stairs. The steps are perfect for any kind of pet but are recommended for puppies, kittens, and senior animals that have lost some agility. Each step has a carpeted tread too for extra traction. The stairs can be folded for easy storage and transport. There is also a unique locking system. Once the stairs are assembled, the system keeps the steps in place all the time. This is an important safety feature that you won’t find in many other designs out there. The design has side rails for extra safety. The safety of the PETMAKER Folding Plastic Pet Stairs is definitely one of its strong points. Each step in these stairs is carpeted for excellent traction. The side rails also ensure the pets can jump and climb without slipping. There is a locking mechanism that keeps the steps in place once they are assembled. We also loved the simple and foldable design that allows for easy storage and mobility. The PetSafe Solvit PupSTEP Plus Pet Stairs offers a simple and easy way to grant your pet access to high places. The versatility alone should be enough to convince you of its value. The steps are super light at just five pounds. They are very easy to move around the room. But they are also very strong. The steps can handle up to 120 pounds in weight. The PetSafe Solvit PupSTEP Stairs feature non-skid feet pads for extra safety. Although they are light and compact, the steps offer outstanding durability too. The durability of the PetSafe Solvit PupSTEP is the biggest selling point. It can support up to 120 pounds in weight. The steps are very small and lightweight too. They can also be folded easily. These features make storage and mobility very convenient. The steps are very safe too. An inbuilt safety rail and non-skid surfaces are some of the safety highlights to look forward to. The Zinus 2 Step completes our top ten picks. They are comfortable and versatile. This is because they are available in five different sizes and can accommodate dogs of all sizes and weights. The stairs also come with high-density foam. The foam is relatively soft on the pet’s joints and paws. You don’t need to assemble once you buy. The stairs are cream in color and this neutral shade can blend into any décor easily. Very versatile, can be used by pets of different sizes and weights. The versatility is the most notable feature. The Zinus 2 Stairs is available in five different sizes. This gives you the chance to pick stairs that are ideal for your pet. We also loved the neutral cream finish on the upholstery. It’s a very unique color that will easily blend in with your furnishing and décor. It’s not uncommon for dogs to have trouble getting into higher places. For example, pets love to climb on the bed or on the couch to cuddle. Steps and stairs make it easier for them to do this. You will not always be there to lift young pets up to the bed or the couch. But the stairs will take care of this all the time even when you are not around. In other cases, you may have a dog that has lost its agility due to old age. Steps can help the pet climb up and down different places with ease. Pet ramps can play the same role as the stairs but these are two different products. A lot of pet owners, however, prefer the stairs. They can easily fit into small spaces without any issues. However, some dogs, especially those that aren’t used to stairs, will need some time to get used to. Dog steps and stairs come in different shapes and sizes. There are too many options out there. However, there are a number of important considerations you will need to make before you purchase one which we will cover here. Pet stairs are designed to help dogs reach high places and as such, there will be a lot of climbing. As a pet owner, you must make sure the stairs are safe. The pet should be able to climb up and down without slipping or falling. It is also important to choose stairs that can conveniently be moved from one place to another. Dog steps are not designed for one location. Sometimes you may want to use them outside. For example, stairs are commonly used in lifting pets into cars these days. Something that can be moved easily will be perfect for this. A good pair of stairs must withstand the weight of your dog. In other words, the stairs should be stable enough to stick on the ground as the dog climbs up and down. This will be safer for both the pet and the owner. Various designs have unique weight specifications. Make sure you understand this before you buy. Pet stairs will probably go into your living room. In that case, it should be something that adds décor value to your spaces. Most designs in the market are very stylish but it all depends on your tastes and preferences. Once you buy the pet stairs from the store, you will probably need to set it up. Some stairs require assembly while others don’t. The great thing is that the majority of stairs can be put together with a lot of ease. You won’t even need any tools for this. Pet stairs and steps are designed to help pets climb into relatively high spaces with ease. Despite the huge variety of options in the market, the CertiPUR-US Certified Foam Pet Steps are highly recommended. Each step on this stairs is reinforced with sustainable nontoxic foam for excellent traction. The design is also stylish. The fabrics that cover the foam are available in many colors and patterns. Simply put, the CertiPUR-US Certified Foam Pet Steps deliver style, durability, and safety for pet owners and are our top pick in this list.